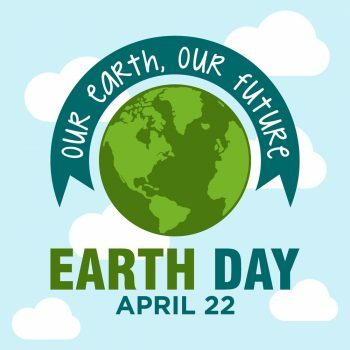 Ocean City, Maryland – (March 28, 2019): Earth day is an event that is observed globally on April 22. It is a day held to demonstrate and promote environmental awareness and calls for the protection of our planet. In observation of this event, numerous Ocean City environmental groups are conducting cleanups throughout the community. To kick things off, the Maryland Coastal Bays Program (MCBP), Ocean City Surf Club (OCSC) and the Town of Ocean City will be hosting the 10th annual Earth Day Cleanup, Saturday, April 6. Last year, over 200 volunteers joined forces to help the town and coastal protection organizations pick up trash in the wetlands, beach and sand dunes in Ocean City. Garbage bags, gloves and a commemorative tee shirt are provided (while supplies last). Volunteers are encouraged to pre-register with MCBP in advance to allow for an accurate number of supplies and assignments. Interested participants can register by emailing [email protected] or calling 410-213-2297 ext. 106. Registration will also be taken on the day of the cleanup by checking in at the Gazebo at the City Hall, located on 3rd Street and Baltimore Avenue, beginning at 10 a.m. A cleanup area will be assigned at registration but supplies are available on a first come, first serve basis. Early registration is strongly encouraged. To add to the effort, four additional cleanups will be held by varying groups, including the Assateague Coastal Trust (ACT) on Saturday, April 13, and the Surfrider Chapter of Ocean City on Saturday, April 20. For more information, visit: www.oceancitymd.gov or https://mdcoastalbays.org/.